It really is no surprise that losing weight is in direct relation to what you eat, when you eat it and how much of it you eat at one sitting. You don’t have to make it harder than it already is to lose weight, learning what to eat to lose weight will be your first step. If you feel like you need some guidance and support there are many diet plans or even pre-packaged eating plans that you can use to help you lose weight. I am personally not a big fan of many of these things because they are not something you can stick to long term. For example, many prepackaged diet plans are quite expensive and if you run out of money, then what are you going to do? Are you going to know what to eat to lose weight when you are all on your own? You could do it on your own if you are diligent but I know what it is like to start something and not be able to see it through. It is demoralizing and depressing and makes you want to eat. Diet plans can often present the same challenges if they are too restrictive. No one can eat a restricted diet for the rest of their lives and if they try to then the rest of their lives will not be long in coming. I think for long term weight loss success you need to find an eating plan that will allow you to get all the nutrients you need to keep your body healthy, and also be a plan that you have enough variety so that you can eat that way for the rest of your life. Good food does not have to be fattening. You are not a hog getting fattened up for slaughter. Successful weight loss is not about fast results, it is about permanent results. If the eating plan that you choose is not something you will be able to live with from the start to the finish then you are wasting your time and your money. On the other hand, if there is something that can kick start your weight loss and help you get some quick results to help keep you motivated then by all means use them. Many of these eating plans are good for that. Successful, permanent weight loss really means a lifestyle change. You may be thinking that your lifestyle is just fine. But if it was, you wouldn’t need to lose weight, would you? If you think in terms of quick fixes or temporary changes then whatever weight loss you do manage to achieve will be temporary too. It really all just boils down to eating the right amount of foods, in the right combinations, carbs, lean proteins, fruits, vegetables, and fats, to provide your body with the nutrients it needs without loading it up with more calories than it can use. These excess calories get stored as fat, usually on your hips or around your middle. If you are wondering what to eat to lose weight just look at the fresh fruit and produce at your local store along with lean proteins, low carbs, and plenty of water. It really is all about balance. Discussions about a woman’s health is often too focused on being skinny or being slim. Fortunately, this attention to weight is no longer about vanity, being like Hollywood goddess, or looking like a ramp supermodel. For a good reason, women are now talking about the health implications of being obese or overweight. Normally, women are told to engage in regular physical exercise and control food consumption. However, many women still struggle with setting aside time for exercise. The demands at work and at home also drive many women to go for every single comfort food they can get their hands on. Being confined to their small cubicles from 9 to 5 every single day makes a gym workout just another demand on their hectic schedules. As simple it may seem, for some women, working out and going on a diet are impossible tasks. Many desperately say that they just don’t have the time and just resign themselves to the thought that obesity or becoming overweight is inevitable. But losing the battle of the bulge need not be every woman’s fate. There are now alternatives and innovations in science and medicine that would allow women to lose weight even if they cannot give up their careers or fix their schedules. “Lipo” is for those who have the money to undergo to this extreme measure to loose weight. Usually celebrities take this easy route. According to the American Society of Aesthetic Plastic Surgeons, liposuction has been the most popular cosmetic surgery procedure in America since 2003. The procedure involves the identification of parts of the body that are predisposed to easy formation of fatty acids like the abdomen, the arms, and the hips. Liposuction is essentially a surgical technique that involves the insertion of a probing device into the patient’s body. The probe is used to liquify the fat before the doctor suctions it out. An outpatient procedure takes an hour and a half to perform. After a procedure, the patient must wear a binding wrap for a number of weeks. A significant amount of medication is required to manage the pain that comes after the operation. However, “Lipo” procedure is only limited to the removal of 10 pounds of fat per operation and, as such, is considered more as a cosmetic procedure rather than a real weight loss program. Another weight-loss approach involves taking anti-aging medicine. As the body ages, hormone levels go down, the pituitary glands stop producing growth hormones, and one’s metabolism slows down too. All this makes weight gain easier and losing weight a greater challenge. The goal of this method is to bring the body’s function back to when a woman was still in her 20s—the age when the body is at its peak. The procedure starts with a series of four tests that include growth hormone faction which tests the state of the pituitary gland; DHEA which checks the testosterone level; the T3T4 that tests the thyroid gland; and a daily morning temperature that is intended for checking the metabolism rate of the individual. Based on the results of these test, a mix of tablets, injections, and creams may be prescribed by the doctor. This procedure is best for people whose hormones are not in tip-top shape. The risk of this therapy are overdose and hyperthyroidism. This is recommended for those who suffer from what is called morbid obesity—being overweight by 100 pounds or more. The procedure involves stomach stapling, which is about reducing the size of the stomach so that a patient feels full after a small amount food. The expected result is a decrease in calorie intake and the long-term reduction in weight. The surgeon creates a pouch by stapling across the top of the stomach. Then a section of the small intestine about two to five feet in length is attached to it so that food can bypass the duodenum—the first portion of the intestine. It reduces calorie and fat absorption. This procedure can now be done laparoscopically—with narrow tubes through which a small camera allows for accurate incisions and stitchings. This is best for severely obese people or who are overweight by 100 pounds or more. Aside from the same risk the comes with all major surgeries, death is an added risk in any operation for patients who are seriously overweight. Then, there is also the risk of gastric perforation (tear in the stomach wall) during or after the procedure that might lead to another surgery. Also known as Mesotheraphy, lipo-dissolve is a new treatment specifically designed to eliminate localized pockets of fat in the body such as love handles, underarm flabs, knee flabs, double chin, and eye bags. The procedure entails the injection of Lecithin into the flabby body part in question. Lecithin is naturally made by the body to break down dietary fats, helps maintain lipid balance. The chemical reaction causes the fat to dissolve and be expelled by the body through the lymph glands. Each session last about 30 to 60 minutes and treatments are given once weekly. This is best for people who have lean bodies. The risk of this method is only limited to minor bruising. Women should always consider their weight loss goals and the pros and cons of undergoing these medical procedures. 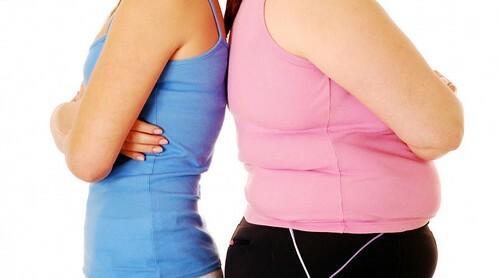 Getting to one’s desired weight and figure need not always be about sweating it out and depriving one’s self of food. Sometimes, these shortcuts to weight loss might be the faster, easier alternative to lose excess pounds.